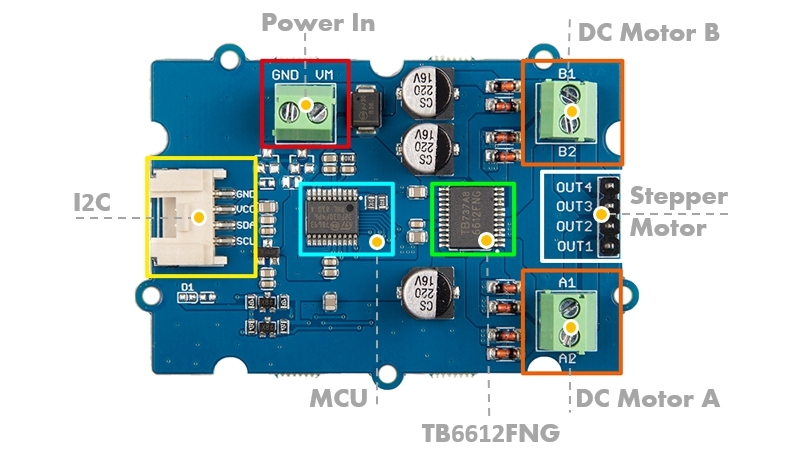 The Grove - I2C Motor Driver (TB6612FNG) can drive two DC motors up to 12V/1.2A or drive one stepper motor up to 12V/1.2A. 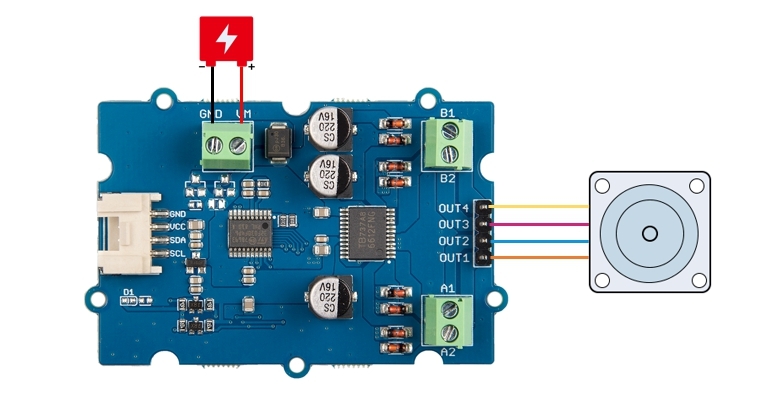 With the on-board MCU, it can work with Arduino easily via the Grove I2C interface. 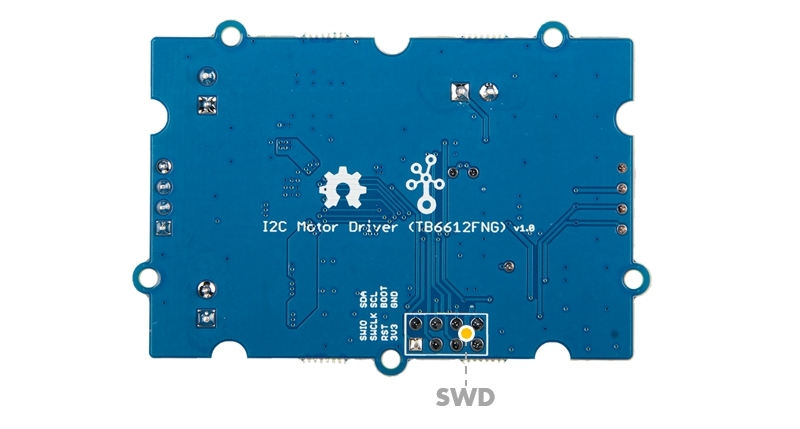 This diver board is based on TB6612FNG, which is a driver IC for DC motor and stepper motor with output transistor in LD MOS structure with low ON-resistor. Two input signals, IN1 and IN2, can choose one of four modes such as CW, CCW, short brake, and stop mode. 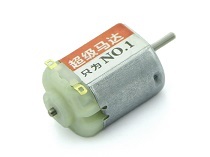 Provide DC power to the motors, input range 2.5V ~ 13.5V. GND: Connect to the system GND, plug the power "-"
VM: Plug the power "+", supply power for the motor. 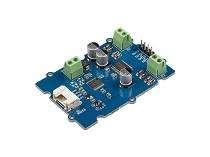 This board has two channel DC Motor Output, it can output 12V/1.2A per channel. 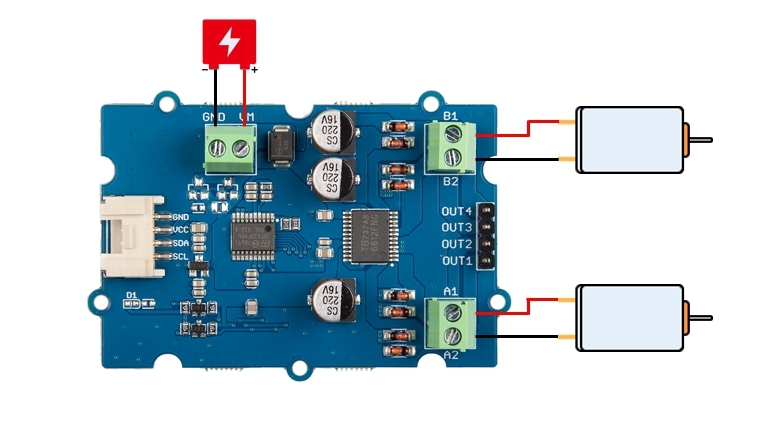 You can use this driver board control two DC motors at the same time. 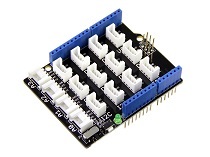 You can use this board to control the 4-wire stepper motor as well, it can output up to 12V/1.2A. OUT1: Connected to one input of the stepper motor coil 1. OUT2: Connected to the other input of the stepper motor coil 1. OUT3: Connected to one input of the stepper motor coil 2. OUT4: Connected to the other input of the stepper motor coil 2. 3 You also need prepare at least 2 jumpers, in case you do not have, you can click here to buy. Step 1. Plu the DC motor into the DC Motor Output port of the driver board, plug the external DC power into the Power In port. Step 2. 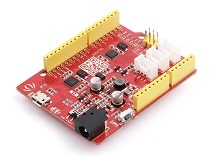 Connect the Grove - I2C Motor Driver (TB6612FNG) to port I2C of Grove-Base Shield. Step 1. 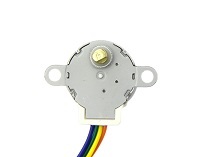 Connect the stepper motor with Stepper Motor Output port of the driver board, plug the external DC power into the Power In port. Step 1. Download the Grove_Motor_Driver_TB6612FNG Library from Github. stepper_motor_2phase: Demo for 4-wire, 2phase stepper motor. 1. Open it directly in the Arduino IDE via the path: File → Examples → Grove - Motor Driver(TB6612FNG) → dc_motor. 2. 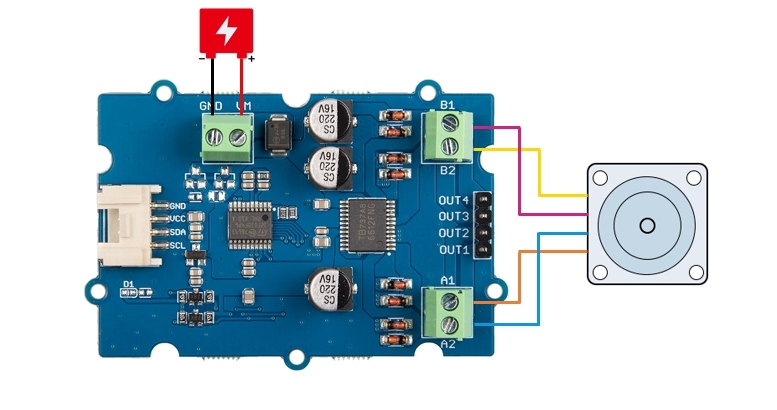 Open it in your computer by click the dc_motor.ino which you can find in the folder XXXX\Arduino\libraries\Grove_Motor_Driver_TB6612FNG-master\examples\dc_motor, XXXX is the location you installed the Arduino IDE. If every thing goes well, when you power up the external power port, the motor will run.